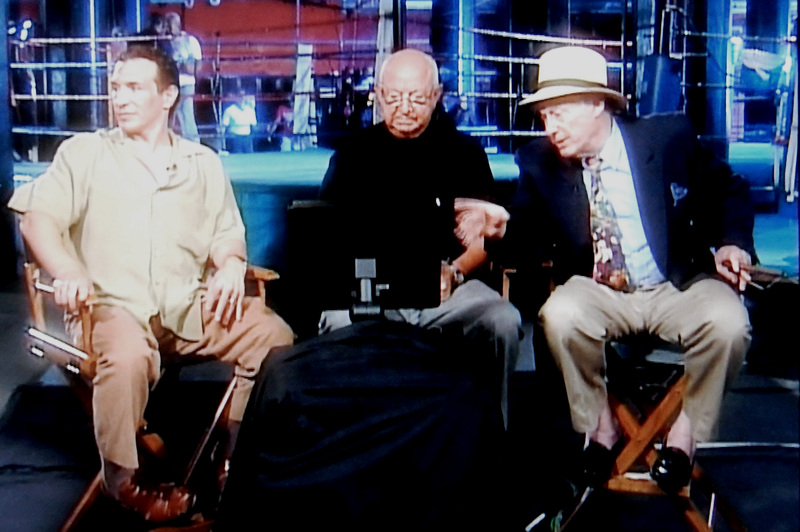 Ray “Boom-Boom” Mancini, Angelo Dundee, and Bert Randolph Sugar critique the climactic fight scene from Gentleman Jim. I want to begin with a digression. I grew up in a white Republican household, and one of many who weren’t in favor in the Matzen house was Mohammed Ali. 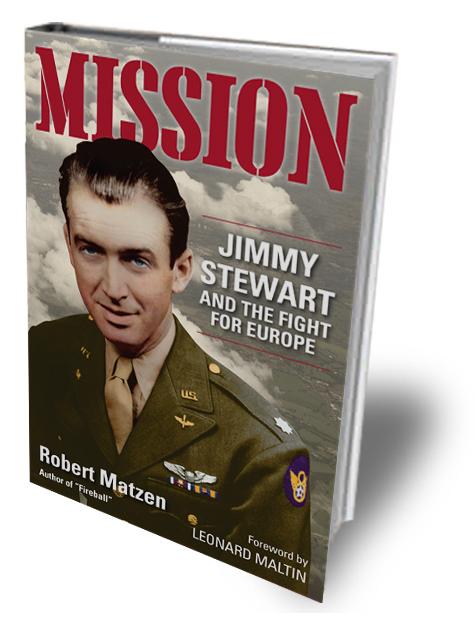 To my parents he was a draft dodger, a punk, and a loudmouth. So of course I thought so too as a kid, and then over the years I realized my very smart parents were dead wrong and that this was a magnificent human being. Oh, how I mourned when Ali died in early June. “I’m too pritteh,” I can hear him saying, pointing at that magnificent face. Smug, playful Ali was such an evolved being that I am only sorry he went into prizefighting instead of into curing cancer or securing world peace. So, maybe you saw that TCM recently ran an old spot showing Angelo Dundee, Ali’s trainer for 20 years (died 2010), Bert Randolph Sugar, famed boxing writer (died 2012), and boxer Ray “Boom-Boom” Mancini sitting watching and analyzing James Cagney’s boxing in The Irish in Us, and then Errol Flynn’s boxing in the 1942 Warner Bros. picture Gentleman Jim. I got a big kick out of the way the three of them choked out rebuke of Cagney’s attempt at prizefighting for the screen and practically held their noses watching Jimmy’s silly attempts at the sweet science. The jab in question, as Flynn delivers, snapping back the head of Ward Bond. “A counter left jab!” said an excited Dundee. 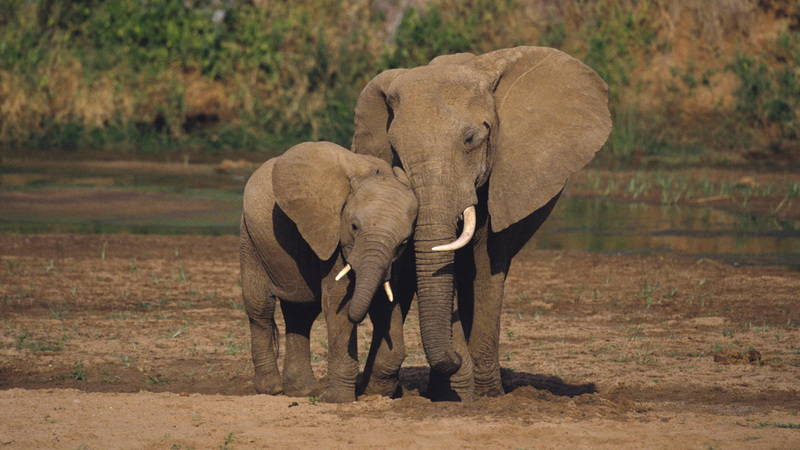 “Forget about a regular jab. My God, there’s so much talent there, it’s scary!” The highly decorated boxing great Angelo Dundee concluded by saying, “I would have wanted to manage that guy!” This was the trainer of the greatest prizefighter in history saying he would have liked the opportunity to manage a boxer with Flynn’s talent. 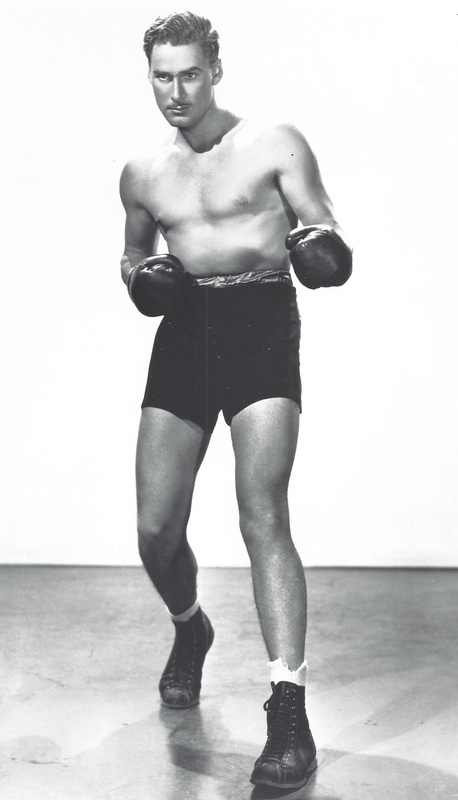 Flynn in the 1937 star vehicle The Perfect Specimen, which included a boxing scene. 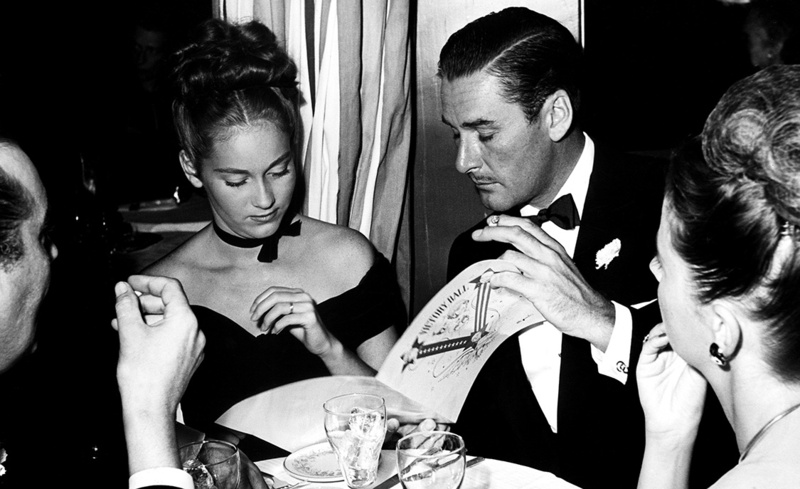 As you’ll recall from “Juicy 2: A Shot Across the Bow,” a drunken Flynn had made a vile remark about Olivia de Havilland to John Huston at a David O. Selznick party at the DOS mansion on Summit Drive. Huston wouldn’t say what it was except to call it “something wretched,” uttered one womanizer to another. Now, I don’t for a moment believe that Errol just insulted Olivia for no reason. What he said was really about some aspect of the deH-Huston liaison, as in, she was cheating on you, John, with me. Flynn had at this point been jilted three long years ago by Livvie, but Errol was thin-skinned and carefully fed and watered his grudges, so this one was top of mind. Always top of mind. Huston then called Flynn on the remark, called him a “sonofabitch” as a matter of fact, and they took it outside so as not to incur breakage on stately DOS interiors. Down past Selznick’s famous gardens they trudged in the wilds of the Hollywood Hills off Benedict Canyon to a gravel road. They removed their jackets and squared off, ready for combat, with Huston feeling pretty confident since he had been a prizefighter in his colorful youth. Boom. That left jab of Flynn’s, the one that made Angelo Dundee all giggly, the one that caused Bert Randolph Sugar to gasp in admiration, shot out of nowhere and turned out Huston’s lights. You see, one of Flynn’s cronies was ex-welterweight boxing champion Mushy Callahan, now a Warner Bros. grip, who had spent many an hour sharpening Flynn’s form and footwork for Gentleman Jim. In fact, Errol had been a huge fight fan from his brawling days in the South Seas and loved nothing so much as mixing it up after a few drinks. Huston landed on his elbows, gained his wits, and jumped up as if to say, no big deal, and Flynn set him right back down again. “Each time I landed on my elbows,” said Huston, who claimed that for years afterward slivers of bone would emerge through the skin of his right elbow courtesy of his bout with Flynn. 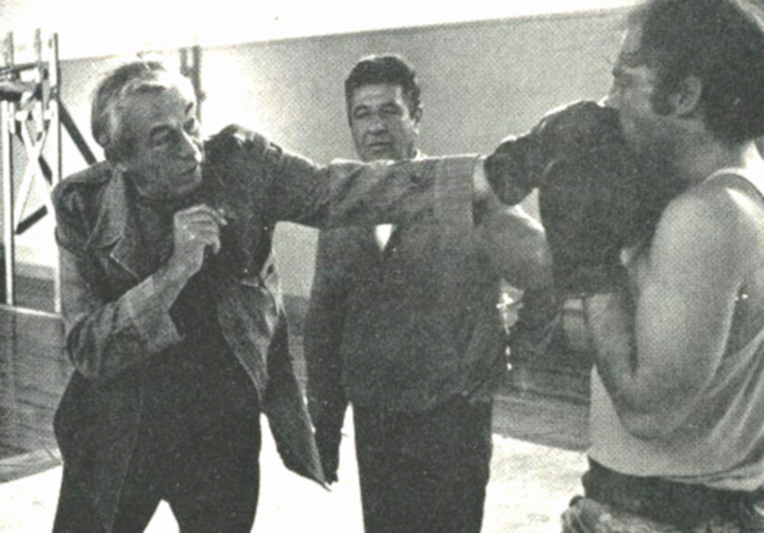 John Huston demonstrates boxing technique while directing the 1972 feature film, Fat City. Tale of the tape on these two was that Huston was then 38 and Flynn 35. Flynn was an inch taller and 25 pounds heavier than Huston, all of it lean muscle. Huston had gone 22 and 3 as an amateur boxer and was once California champion. Flynn’s record is unknown because he fought his bouts like this one, outside the ring, although it’s confirmed that ex-wife Lili Damita knocked him out cold with a champagne bottle on their anniversary in 1938, so Flynn was something-something and 1 at the least. Flynn kept his guard high to protect that pretty face, which was where the money was, so Huston started going for the body and played Flynn’s ribs like a xylophone. 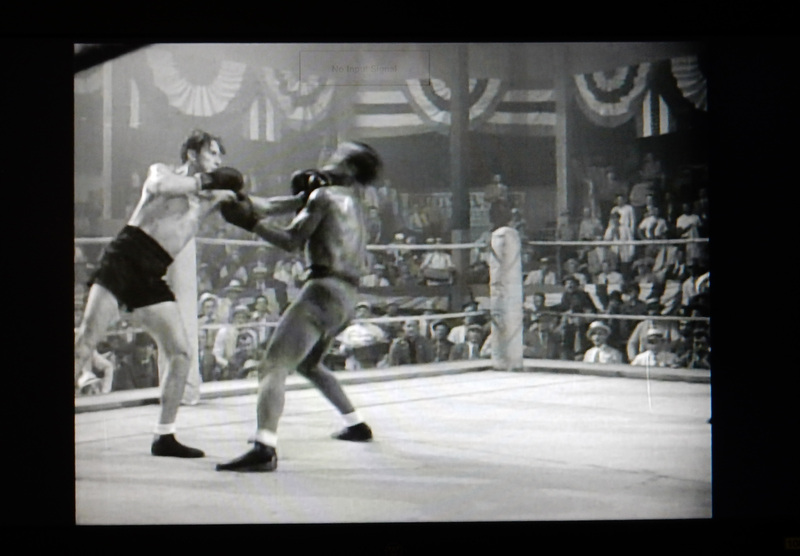 John knew he was getting to Errol when Flynn started to lean in and hold onto Huston—the classic sign in boxing that body blows are taking a toll and wearing down a combatant. Far from a brawl, they boxed, and boxed, and kept at it until headlights from departing party guests illuminated the pair and tipped off Selznick about what was happening practically under his nose. At that point he burst out enraged and broke things up. 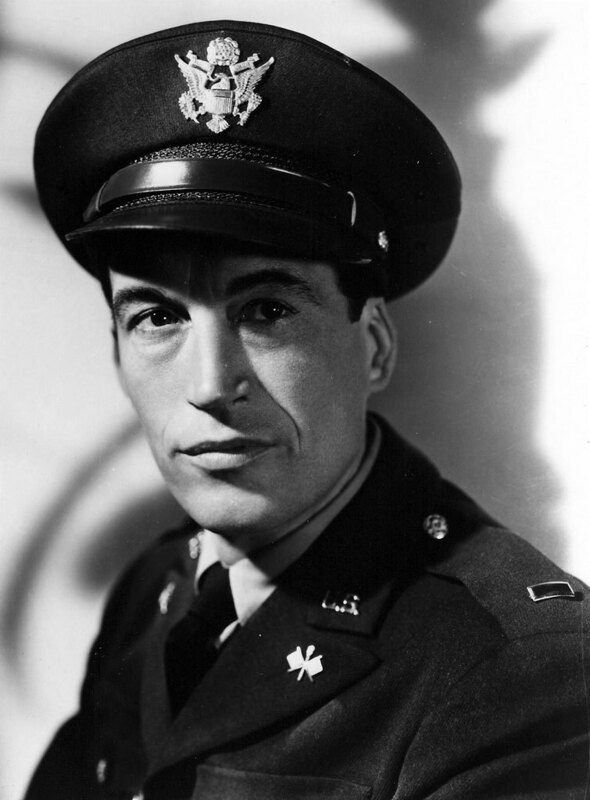 Said Huston, “David assumed Errol had started the fight, since he had that reputation, and there were recriminations.” Whoa, Nellie, I bet there were! 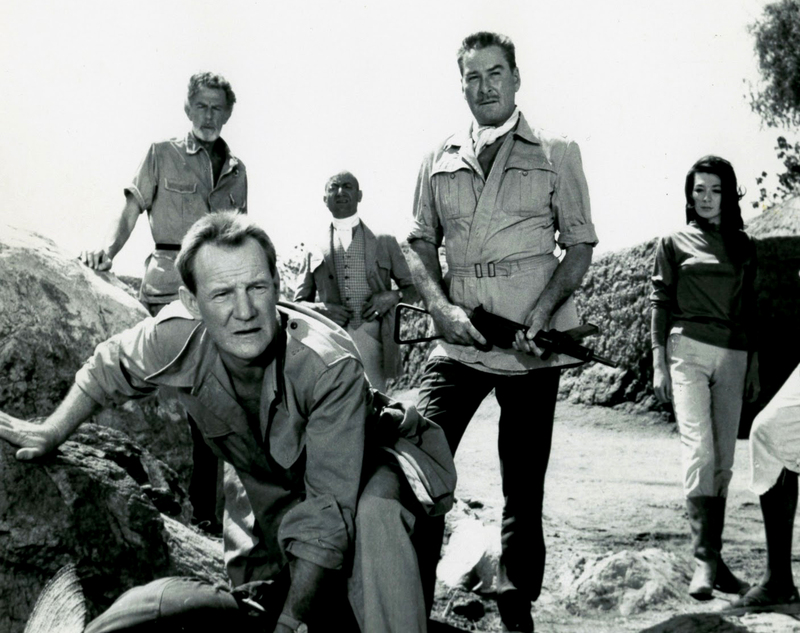 Both Flynn and Huston ended up in the hospital and would find their fight a bonding experience to the point that Flynn ended up calling Huston “Johnny,” and a dozen years later Errol would star in the John Huston African adventure film, The Roots of Heaven. Olivia at about the time of the brawl. And what of the lady in question, the subject of the remark by Flynn? 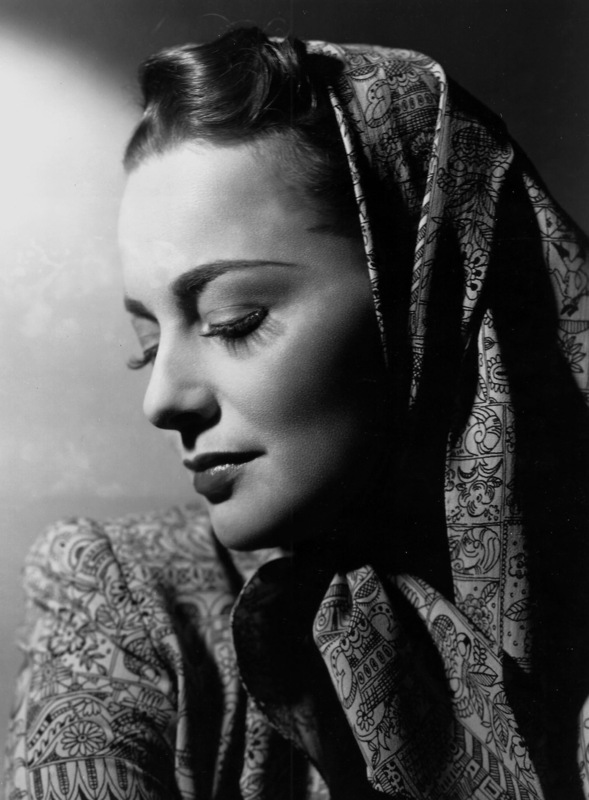 Olivia de Havilland would remain estranged from both men, although Flynn wrote to Livvie less than two months after the boxing match inviting her to star opposite him in his new comedy, Never Say Goodbye. 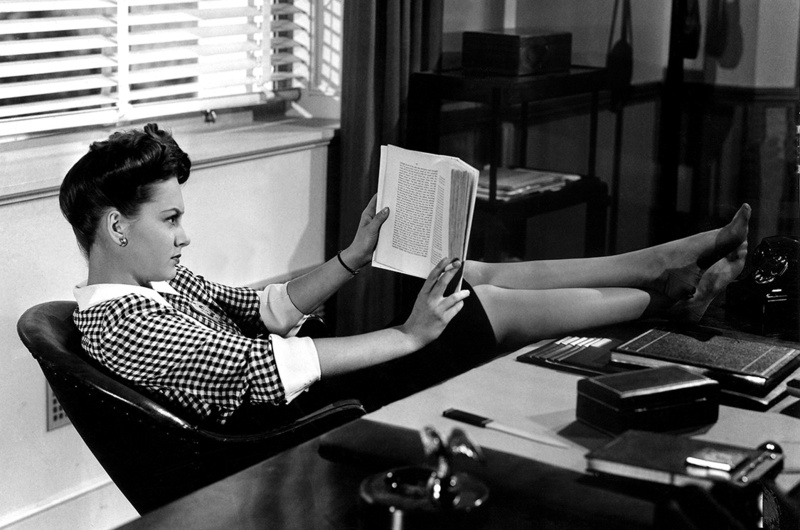 This was shortly after the “de Havilland Decision” had broken Jack Warner’s power and she was unable to find work because of a Hollywood blacklist organized by Warner against her. 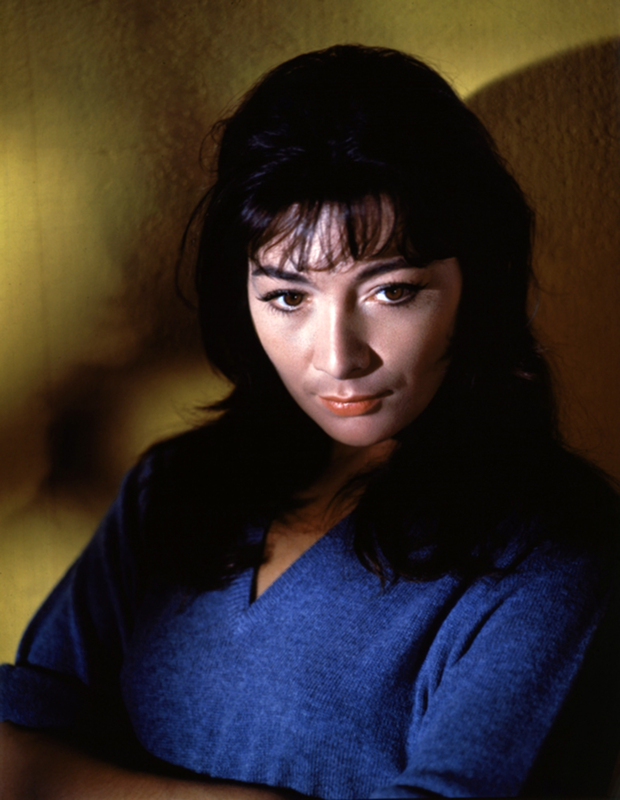 She declined Flynn’s offer in a return note, no doubt in part because making this picture would require her to return to Warner Bros. Flynn made it clear Never Say Goodbye was to be made by his own production company so he had the power to get her in, or, as he phrased it, “I could guarantee that not only would the Bros. not get in your hair but on the contrary would lay out a good number in velvet carpets for you.” But it also meant working in close quarters with Errol again, and so even though offers weren’t coming in, she said no. It would be another 13 years before they met up face to face, an occasion described in my book Errol & Olivia (2010) that would wound her deeply and break his spirit. Flynn, de Havilland, and Huston were three solitary, not-very-happy people living in an age long before email and text messages. Where today a wistful lover can tap out a smartphone message in a nostalgic moment and hit send, in the old days there was a deliberate process that had to be followed: pull out paper, pull out pen, sit there and reminisce and write, then sign your name, fold it up, address an envelope, lick and place a stamp, and (heart pounding) drop in mailbox. It was slow, calculated torture to send handwritten notes to lost loves via snail mail, like those exchanged by Errol and Livvie in 1945, and by Livvie and John in 1967. But in both cases—the love of Errol and Livvie and the love of Livvie and John—the relationships were poisoned and there was no going back.